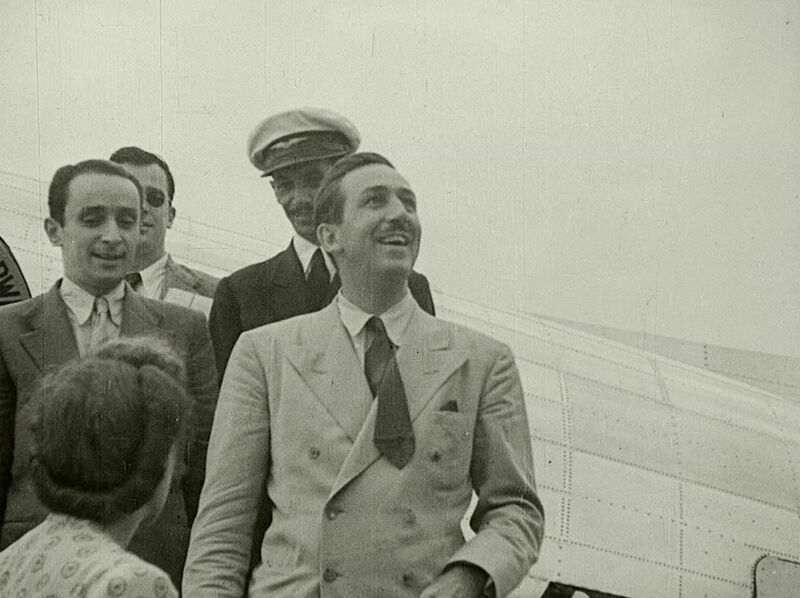 I don’t know that the three-month South American joyride (in the official parlance “goodwill trip”) undertaken by Walt Disney and a few dozen of his employees in 1941 warrants a feature-length documentary, but if so it probably shouldn’t be distributed by Disney Pictures nor helmed by the son of one of the tour’s members. Essentially, Walt & El Grupo finds the boss fleeing a company strike to jounce around Argentina, Brazil, and Chile, dancing sambas and mingling with the intelligentsia while someone else takes care of those pesky workers back home. Of course, director Theodore Thomas (son of Disney animator Frank Thomas) doesn’t quite see it this way; his decision to confine his interviews to other descendants of “El Grupo” (as the delegation was known), as well as to sympathetic South American associates, seems calculated to ensure a favorable audience response to the project. Still, enough dissonant notes squeeze in through the cracks—a Chilean man expressing distaste for a Disney cartoon set in his country, a letter from animator Frank Thomas describing the natives as “lusty” but “unsophisticated,” the backdrop of the European War—to trouble the glamorous waters. Whatever glamour there’s to be found in this Yanks-below-the-border venture is imperfectly conveyed to the audience because of a scarcity of suitable archival material. No doubt the group had great fun attending an endless string of social events, but relying on montages of still photographs (occasionally subjected to unnecessary 3D treatment) and new video footage of the original locations and set to an insistent samba score does little to communicate to the contemporary viewer anything of the excitement felt by the party. Actually, most of the film should hold little interest for anyone apart from the descendants of El Grupo themselves, since, really, who cares that a bunch of Disney employees had fun dancing their way through swank Rio de Janeiro nightclubs back in the early ‘40s? Especially when all they had to show for their trip was Saludos Amigos and The Three Caballeros.